By now many of you will know about the ‘My Faves’ series. And for those of you who don’t, basically each week I hero one of my all-time favourite products that I use consistently all the time and always have on hand for when I need them. In many of the posts I talk about my favourite makeup, but there’s also skincare and haircare products, perfume, nail products, in other words all my favourite lotions and potions. 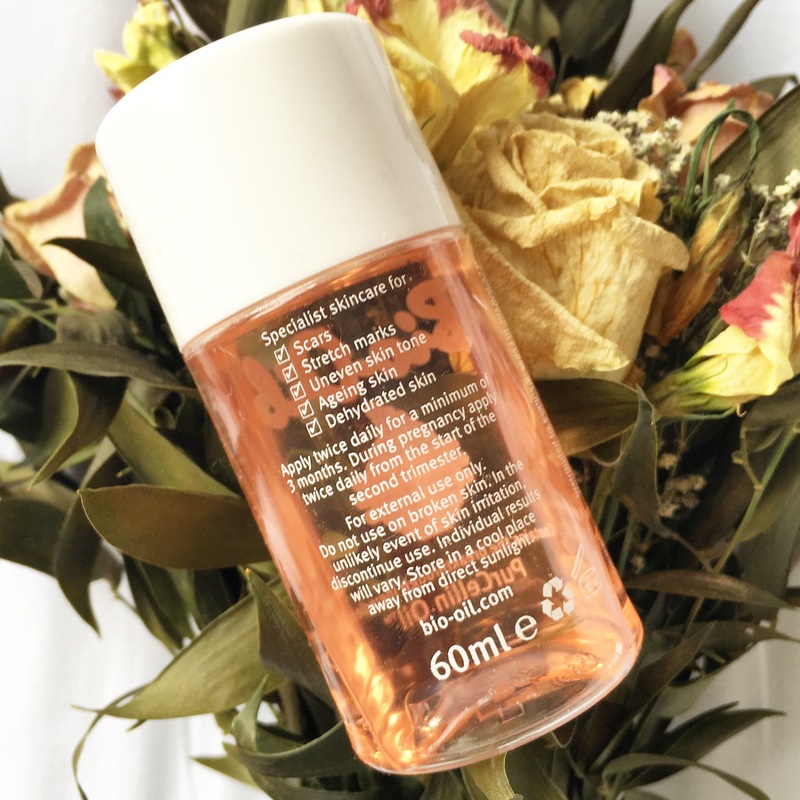 Today I’m talking about a product which I’m sure pretty much all of you are familiar with, Bio Oil. The miracle that is Bio Oil. I’ve been using this for as long as I can remember, at least since I was a teenager, and I never let a bottle run out before restocking. 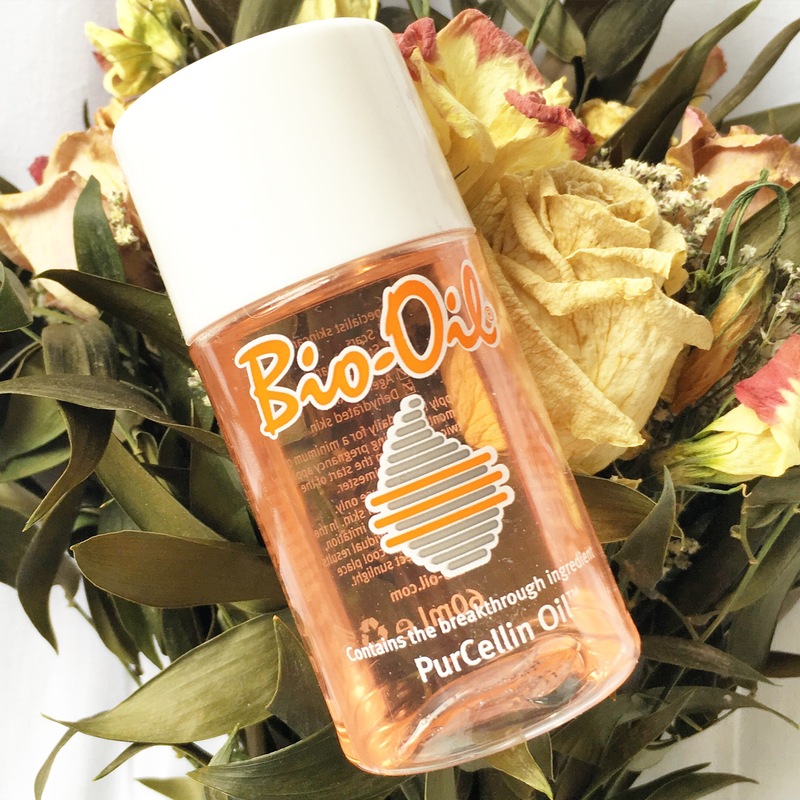 For those of you who aren’t familiar with Bio Oil, it is an oil which contains some incredible ingredients including Vitamins A&E, Lavender, Rosemary and Chamomile oils and, what Bio Oil call their breakthrough ingredient ‘PurCellin Oil’ which ensures the oil is easily absorbed by the skin. I’ve used this for so many things over the years, I’ve suffered from psoriasis since I was very young so therefore my skin is very dry. 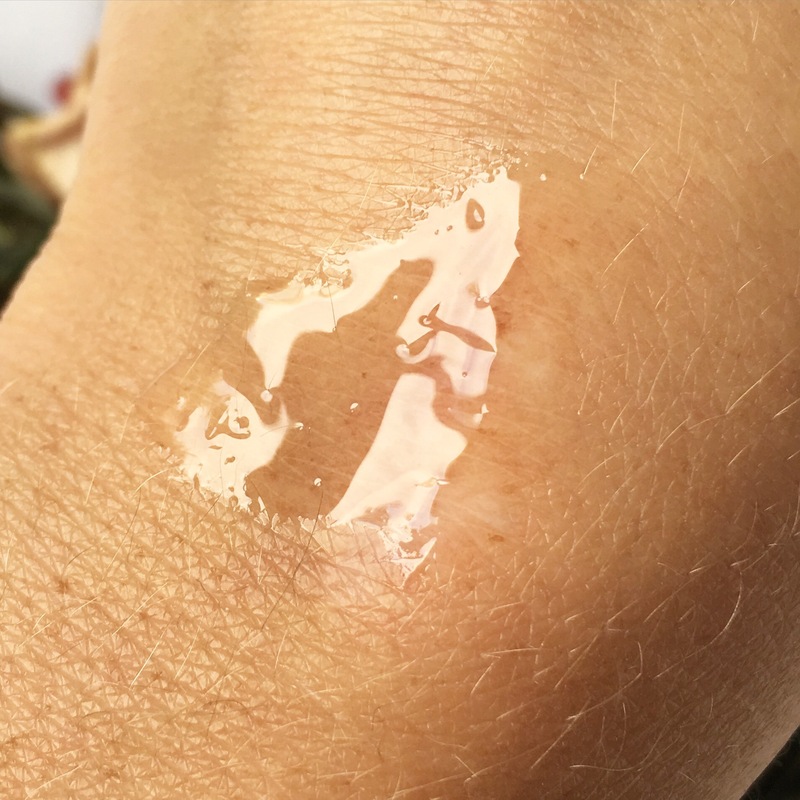 Bio Oil is great for putting on bad patches of psoriasis to ease that tight, soreness you get if you’re having a bad break out. Now that I’m older my psoriasis is much better, but I do still suffer from bad bouts, I get very dry elbows and knees and for some reason my forehead is always the first to get hit. Right on the face for all to see! But Bio Oil always helps. 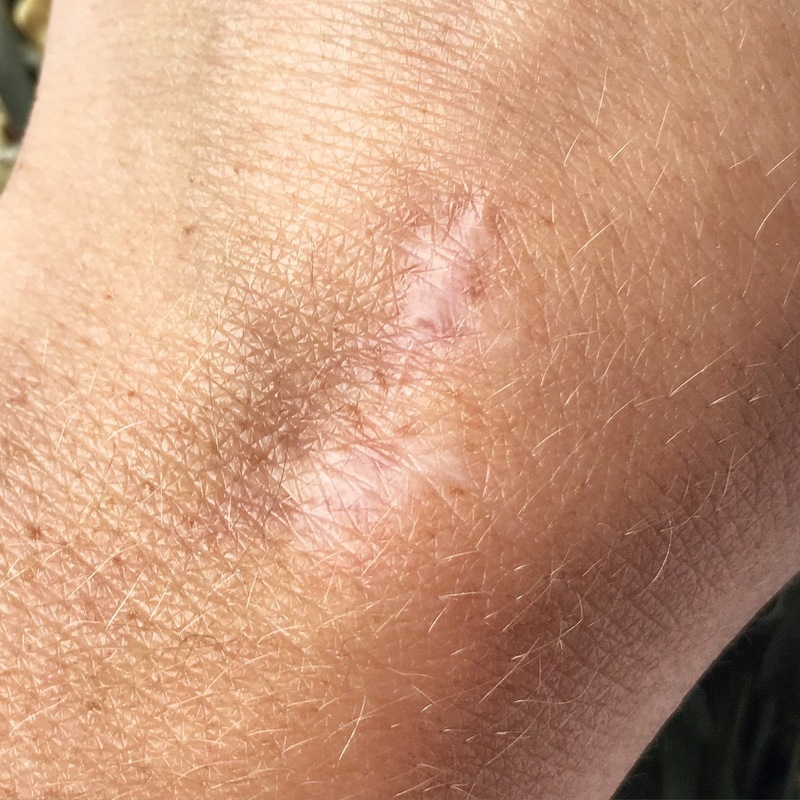 Also, two years ago now I had a minor surgery on my wrist and was left with a very bad scar as a result. I use Bio Oil religiously on this everyday, and the difference it has made has been incredible. Unfortunately I don’t have a picture to show you of what the scar looked like at the beginning, it wasn’t big, but it was a deep red colour and lumpy, but by using Bio Oil everyday I’ve reduced the look of it completely. And although still noticeable, it’s nowhere near as offensive as it was. It basically can be used for everything. 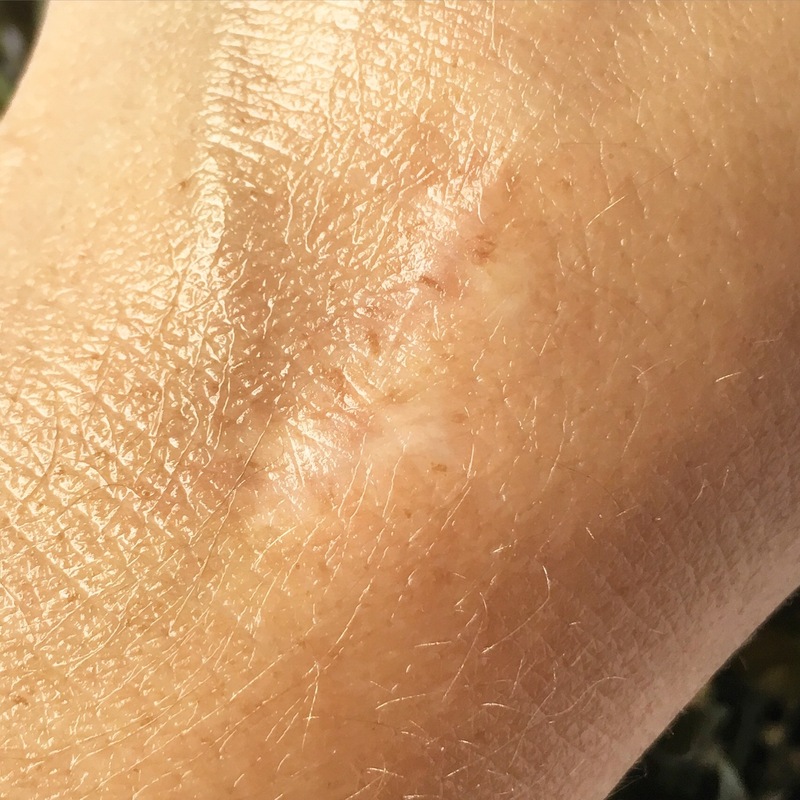 I’ve used it on other minor scars which have all but disappeared, sun burn, and not to mention my stretch marks (I hate to say it but I’ve got plenty of those), which definitely seem to have eased in appearance – I don’t think anything can magically make them go away but this helps believe me! None of the ‘My Faves’ posts are advertisements, if you choose to try them then that’s great, if not then that’s great too, I just hope you enjoyed the read! The purpose really is just to talk about the things I love, and products that I get multiple use out of over and over and over again. I love Bio Oil, I mean I really love it, love it. If they ever stopped making it I literally don’t know what I would do! There are so many products on the market that sometimes you can get swept away by all the advertising (well I can anyway), but there’s a lot to be said for those old faithful products that never let you down too. Bio Oil comes in three sizes, I have the 60ml bottle which costs €12.49 in Boots, but there are two other bigger sizes as well.